There is nothing that influences your smile as much as your eating habits in Palm Harbor, Florida. 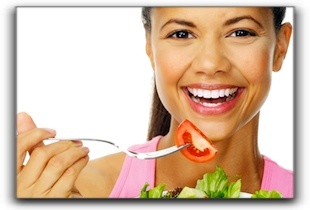 Develop good eating habits and your Trinity dentist will smile down on you too. Patients in Clearwater, East Lake, and East Lake would do well to follow the example of a dentist in what and how they eat. Rinse your mouth with a drink of water or brush your teeth after a meal. Palm Harbor folks who snack all day long prolong tooth exposure to sugars and food debris. Planned meals with brushing in between keeps your oral health on top. Sugar free gum doesn’t leave sugar to break down on your teeth and spoil your hard earned healthy gums. If you are one of the many Trinity gum chewers, do your teeth a favor and go sugarless. Sticky foods have a habit of clinging to your teeth with stronger chances for decay. 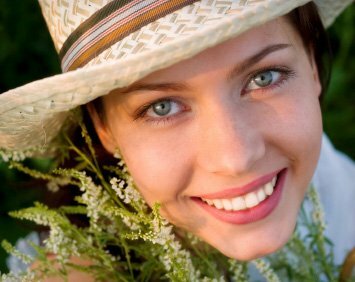 Toffee, gummy candy, fruit snacks, even dried fruit can be problematic for Palm Harbor smiles. Brushing doesn’t always remove the obstinate particles. If you have concerns about enamel damage that’s already taken place on your teeth, need help with crooked, chipped or missing teeth, or just need to get in for a check up, call Prestige Dentistry in Palm Harbor today. We’ll answer your questions about dental implants, sedation dentistry, and restorative dentistry. 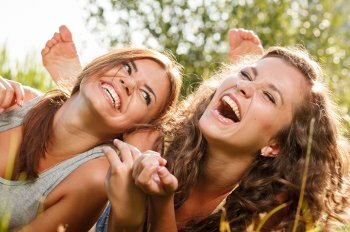 We know braces, veneers, dental implants, oral sedation, and the cost of cosmetic dentistry in Palm Harbor can bring up questions and concerns. Dr. Prestige Dentistry reduces those worries and brings you to a place of knowledge and power. Make an appointment to discuss your dental goals.